The Guild Conference offers academic historians, independent scholars, community historians, journalists, genealogists, oral historians, students, folklorists, and those outside the disciplines an opportunity to share historical research and insights. Proposals should include a title, presenter contact information, brief presenter biography, and a paragraph describing the presentation. Proposals should not exceed 300 words. 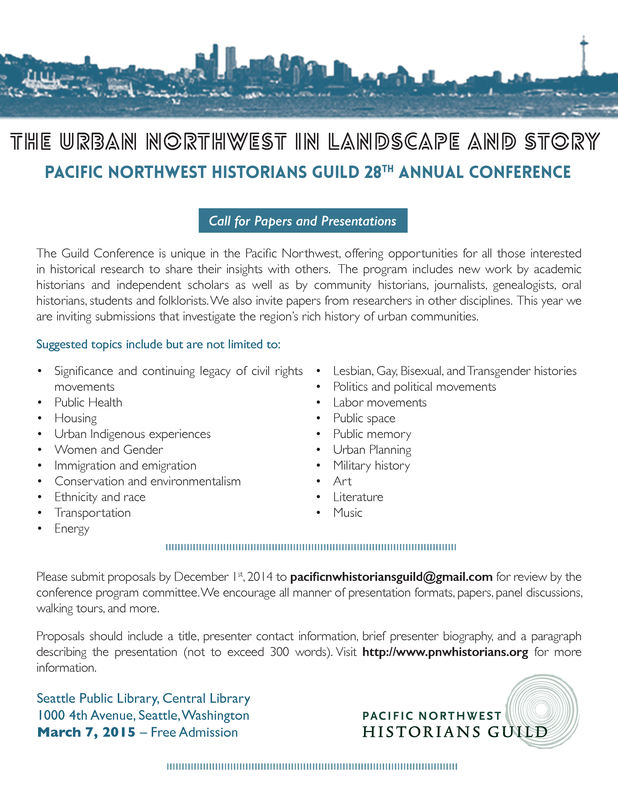 Submissions go to the conference program committee at pacificnwhistoriansguild@gmail.com for review.